(b. 1965) – a literary critic, a literary researcher, an employee of the Institute of Polish Literature of the University of Silesia in Katowice, an editor of the Opcje cultural quarterly. He specialises mainly in modern Polish prose. He published a collection of critical essays Zawód: czytelnik [Profession: reader, 1999], for which he received the Award of the Polish Book Publisher Association, a dissertation Ja nieuniknione. O podmiocie pisarstwa Jerzego Andrzejewskiego [The unavoidable I. About the subject of Jerzy Andrzejewski's writings, 2000] and a literary criticism book Wielkie Wczoraj [The Great Yesterday, 2004]. 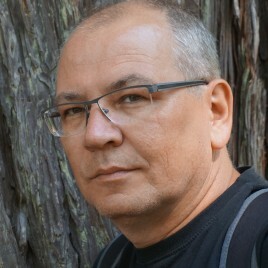 He is a co-author (together with Ivana Vidović Bolt) of a collectionOrkiestru iza leđa. Antologija poljske kratke priče (Zagreb 2001) and an anthology Była sobie krytyka. Wybór tekstów z lat dziewięćdziesiątych i pierwszych [There was criticism. A selection of texts from the 1990s and 2000s; with Krzysztof Uniłowski; 2003]. Moreover, he published a monographic book Kto im dał skrzydła. Uwagi o prozie, dramacie i krytyce (2001-2010) [Who Gave Them Wings. Remarks on Prose, Drama and Criticism /2001-2010/, 2011] and recently Ukosem. Szkice o prozie [From an Angle. Essays on Prose, 2013].